Well, I have two warn you, while these two are the most recognizable for obvious reasons, they’re not the only two, so you may end up riding on a bus that is not as special. We caught a lot of the buses during the Autumn session of 2016. The bus on Naoshima was really crowded. We caught it from the main terminals, the port and Honmura, which was fine. However, there were so many people on the bus that people on stops in between were often not picked up. When we missed one of the buses on Shodoshima a local cafe owner helped us catch a taxi, which turned out to be not too expensive and had the advantage of getting us to the art works at a quiet time, between busloads. That worked out quite well. 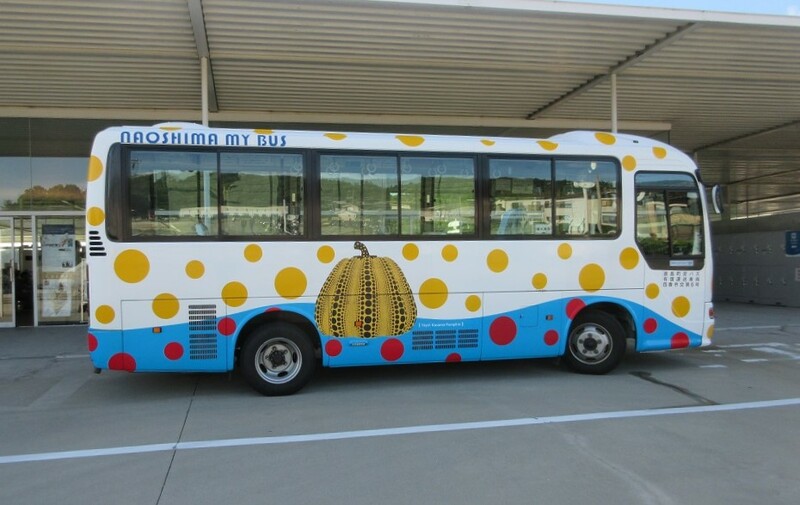 Yes, the busses can get really crowded at times (well, on Naoshima, they’re pretty much never “not crowded”). 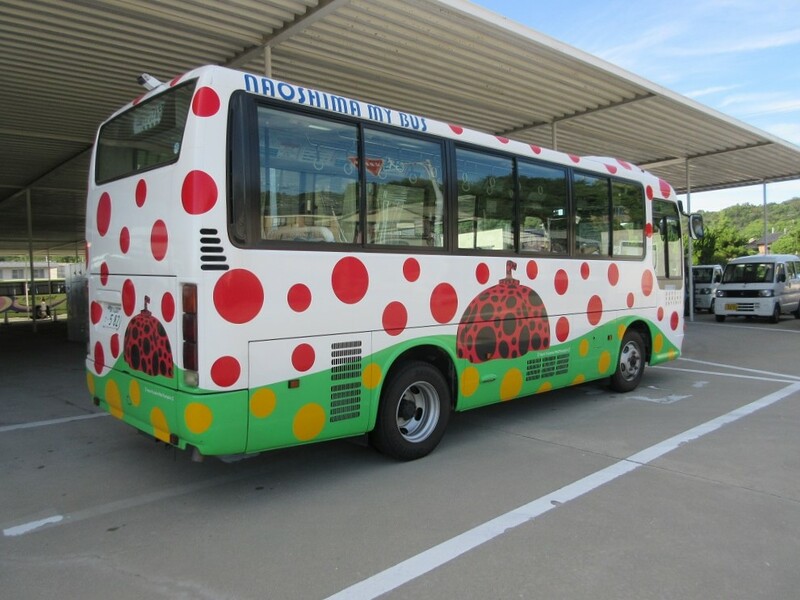 And yes, on Shodoshima, because they’re quite infrequent in certains parts of the island, some sites get really crowded in between two busses, and then empty until the next one. Next post Benesse? Naoshima? Setouchi Triennale? Art Setouchi?